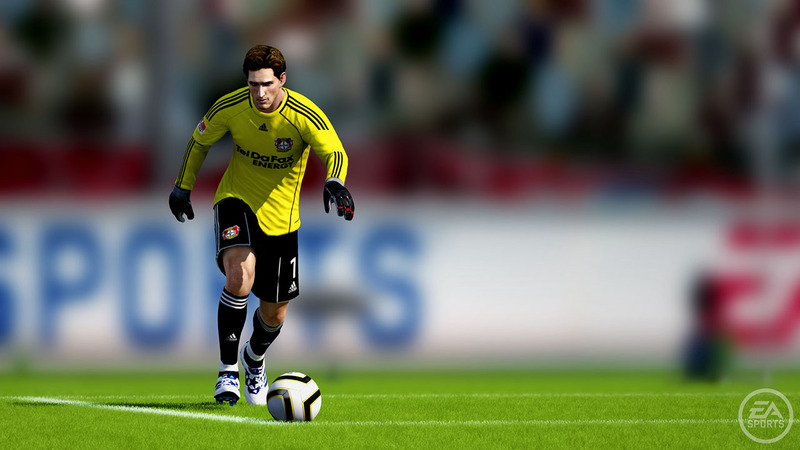 Have you ever play fifa15?If you are a new players,you may find these tips on scoring goals, converting penalties, and choosing formations helpful. If you’re a veteran, you can find the players you should be targeting in career mode. Keep reading to take your first steps into the beautiful game. DO: Look for through ball opportunities: When you have the ball at midfield or in the box, keep an eye on your striker. If they suddenly break forward, this is usually your cue to press Triangle/Y to fire a through pass forward to get your attacker in on goal. DON’T: Fire shots from outside the box: It used to be fairly easy to score from outside the box with power shots, but now the goalkeeper is much smarter and will probably see it coming in. You’re better served kicking it out to the wing or looking for a through ball opportunity. DO: Aim for the back corner of the net: When you’re coming in on the goalkeeper, don’t just shoot. Instead, hold up or down on the left analog stick and aim for the back corner of the net. Think of it as a diagonal line from your foot to the back of the net. You will have far more success finishing goals if you take this approach. DO: Cross in the ball: If you’re outside the box and you a few of your guys waiting up front, it can be benefit to loop an aerial pass into traffic from the wing and hope that your player can head it in. If they can’t, there’s a chance that the ball will carome around enough that someone will get hold of it and put it away. DON’T: Try to carry the ball in by yourself: A common mistake by newcomers is to try and dodge five defenders with one player while making a run to goal. If the box is crowded, that means that there’s room elsewhere. Kick it out to the wing, or look for an attacker coming in from behind. If you try to weave it through the entire defense, you will probably get tackled and find the ball going the other way. DO: Put your best players in position to succeed: Learn the strengths and weaknesses of your preferred team and play to their strengths. A big, strong striker like Everton’s Romelu Lukaku probably won’t outrun the defense, but he’s very good at winning headers and outmuscling defenders as a target man. Conversely, use Messi’s amazing dribbling to your advantage and hit him with low crosses and through passes. Use the new Tactics functionality to designate roles such as Target Man for your attackers so they’ll be in the right place at the right time. DON’T: Take needless risks with possession: Take what the defense is giving you. If they are defending deep, don’t lob in deep passes and through balls. Instead, play a little tiki-taka and patiently work the ball up the field with short passes alternating between the sideline and midfield. Be ready to seize opportunities when they appear, but be smart with the ball. Pass quickly and efficiently and wait for holes to open up in the opposing defense. DO: Use your substitutes: When you’re in the middle of a tense online game, it can be easy to forget about the guys on your bench. Your playmakers will eventually get tired though, and their performance will begin to decline. Sometimes the best way to get a crucial goal when you need it is to have a trump card stashed on the bench who can come in at just the right moment.